Sudden Death After Transcatheter Aortic Valve Implantation. Are Bradyarrhythmias Always The Cause? Lida P Papavasileiou Antonios Halapas Michael Chrisocheris Kyriakos Bellos Nikolaos Bouboulis Stratis Pattakos Georgios Zervopoulos Luca Santini Konstantinos Spargias Francesco Romeo Giovanni Forleo Theodoros Apostolopoulos J Atr Fibrillation 2015 Oct-Nov;8(3):1108. Epub 2015 Oct 31. Transaortic aortic valve replacement using the Edwards Sapien-XT Valve and the Medtronic CoreValve: initial experience. Spargias K, Bouboulis N, Halapas A, Chrissoheris M, Skardoutsos S, Nikolaou J, Tsolakis A, Mourmouris C, Pattakos S.
Hellenic J Cardiol. 2014 Jul-Aug;55(4):288-93. 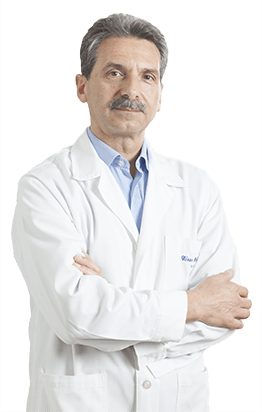 Transcatheter Aortic Valve Replacement in Patients with Chronic Kidney Disease Alexandros Gerakis,Antonios Halapas, Michail Chrissoheris, Ioannis Giatras1, Radostina Andritsou, Ioulia Nikolaou, Nikolaos Bouboulis, Eustratios Pattakos and Kostas Spargias Nephrol. Dial. Transplant. (2013) 28 (suppl 1): i366-i373.